Check this box if you would like to subscribe to the electronic MAITC Newsletter. 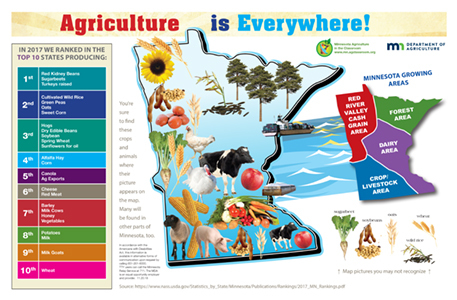 Yes, I/We would like to be contacted (teacher/school/district) regarding in-service workshops on how to connect agricultural literacy content to Minnesota academic standards. Yes, I/We would like to be contacted regarding pre-service workshops at Minnesota Colleges of Education. If home schooled, please enter 0000. We are unable to ship to PO Boxes. Please provide a physical address. 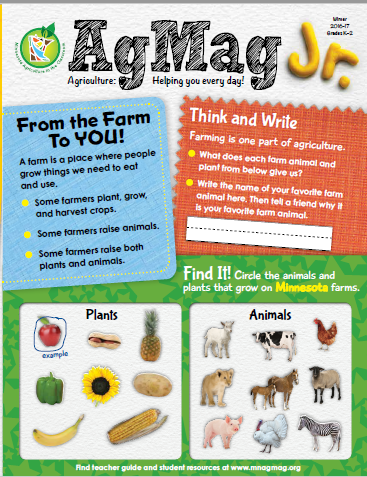 The AgMag is geared for learners in grades 4-6. Subscribe: (Subscription renewals are required each school year.) Any issues already published this year will be sent once your order is processed, unless otherwise directed. 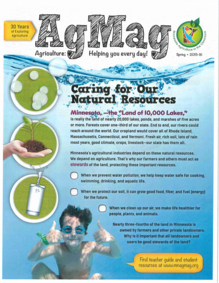 AgMags will be mailed in October, January and March. I am a first year subscriber. I am a veteran subscriber. 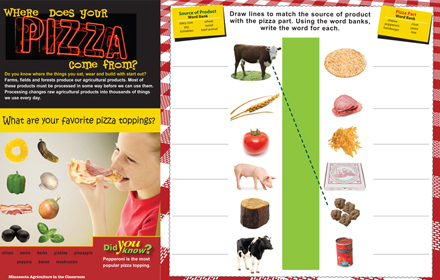 The AgMag Jr. is geared for K-2 learners. Subscribe: (Subscription renewals is required each school year.) Any issues already published this year will be sent once your order is processed, unless otherwise directed. The AgMag Jr. will be mailed in October and January. 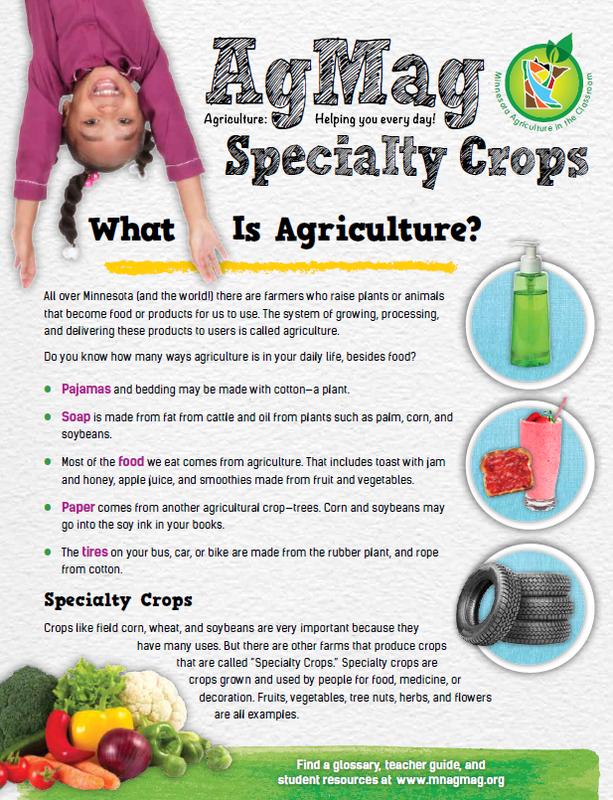 The Specialty Crop AgMag was developed using 3rd grade standards. 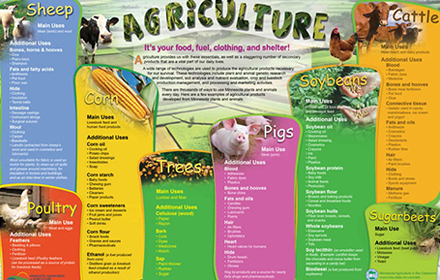 It can be used as a stand alone resource or as a complement to the AgMag series. There is only one issue. 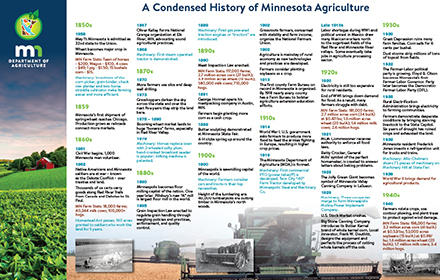 How many Specialty Crop AgMags? 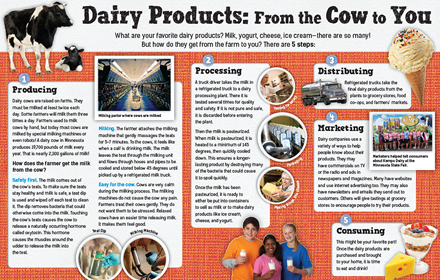 The Teacher Guide Includes 18 standards-based K-12 lessons & maps. 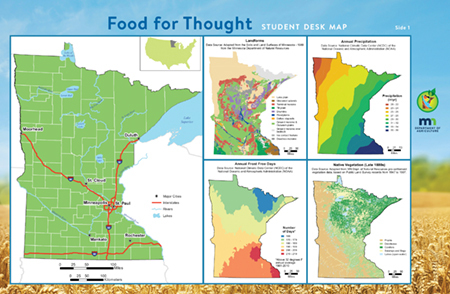 Food for Thought also includes a color student desk map for use with the lessons. The student desk map is designed so each student has their own personal desk map for reference and lesson activities. All aspects of the guide can be downloaded here. 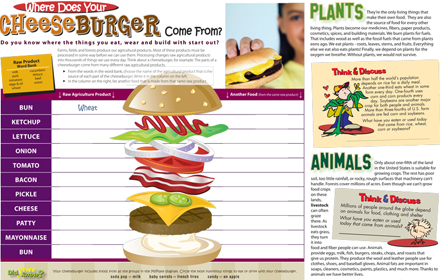 The lesson booklet can be digitally accessed here. 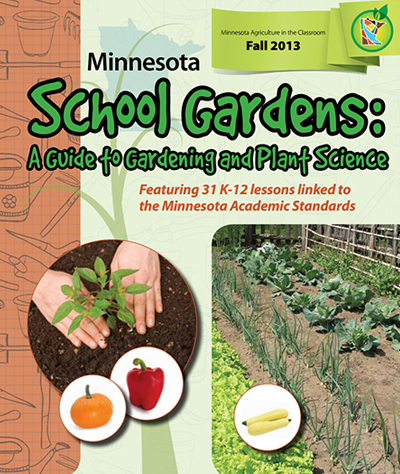 This guide includes instructions for establishing and maintaining a school garden in Minnesota, and contains 31 plant–science based lessons that assist in embedding its content into the classroom. Please specify quantity for the products below. If another teacher shared with you about these resources, please let us know who that teacher was.